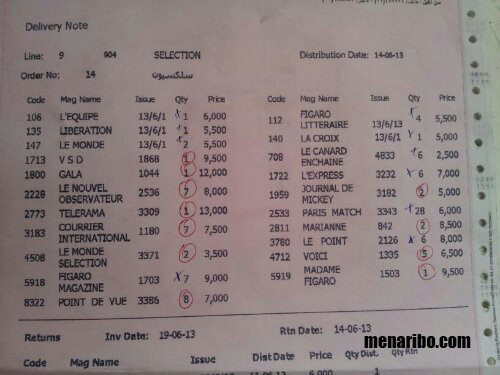 There are no specific guidelines for banning international publications in Lebanon. It just happens for a particular issue based on the sensitivity of its content. – Travel agency ad for trips between Paris and Tel Aviv. – Article about the life of Israeli female soldiers. – Article about Saudi Arabia and the shariaa laws that are adapted there. – Another ad highlighting the tourism in the holy land. These publications usually have pages torn out before being released in the Lebanese market. The bureau of censorship should be aware that there is an online version for every magazine which they can not control.